This article gives you complete details about Sourav Ganguly, best captain of Indian cricket. This article gives you details about biography and profile of Sourav Ganguly. More details about Career performance of Ganguly is also quoted in this article. The full name of Sourav Ganguly is Sourav Chandidas Ganguly. Ganguly was born in the year 1972 july 8 at Behala, Calcutta, West Bengal, India. Ganguly was the Captain of Indian cricket for a long time and currently Ganguly retired from International cricket and currently ganguly is a cricket commentator in various sports channels. Ganguly was a left handed batsman and a right arm medium pace bowler. Ganguly played his first one day international cricket match against West Indies in the year 1992 January 11. His Test debut was against England in the year 1996 June 20 . 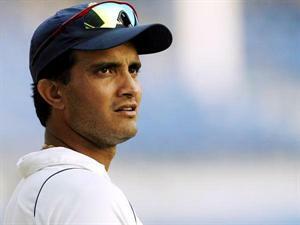 Ganguly is currently playing for IPL team Pune Warriors India. His first IPL team was Kolkata Knight Riders where he was the captain of the team. His biggest success in International ODI cricket is that, he led India to reach final of 2003 World cup. Ganguly scored over 11000 runs in one day cricket and more than 7000 runs in ODI cricket. Ganguly scored 16 hundreds in Test cricket and 22 hundreds in ODI cricket. Ganguly had taken 100 wickets in ODI cricket and 32 wickets in test cricket. At the age of 15 itself Ganguly showed some brilliance in batting where he scored a century against Orrisa. In his schhol days, Ganguly was the captain of St Xavier's School cricket team. Ganguly's favorite cricketer is David Gower which influenced ganguly in his cricket career. Ganguly was one of the successful test captain for India.